You still have time to join this initiative! All you have to do it get creative and think about the future. This is a contest open for every Steemian, the contest will be divided in two parts. Any Steemian joining the first part can join the second part, just bear in mind that the second part will have a lot to do with the first one, so make sure to give your 110% for this first part! The winner of the second part will get a ticket to SteemFest and the accomodation in the @blocktrades sponsored apartment in Krakow. 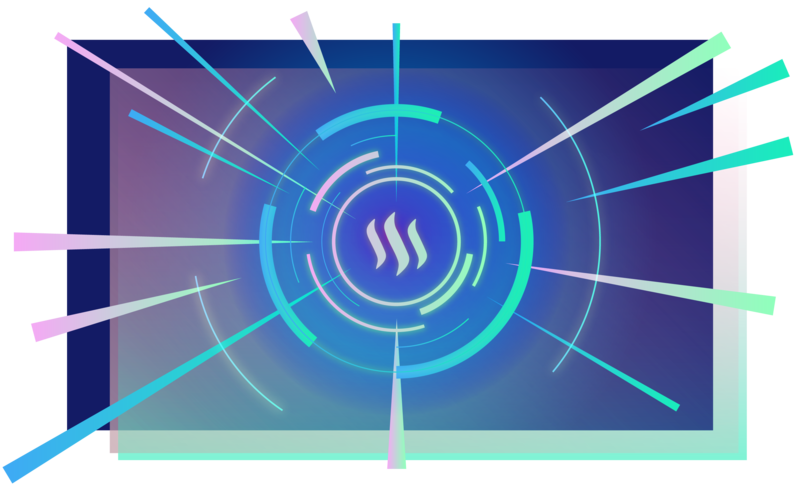 The contest is called #SteemFastForward and it´s very simple to submit an entry. 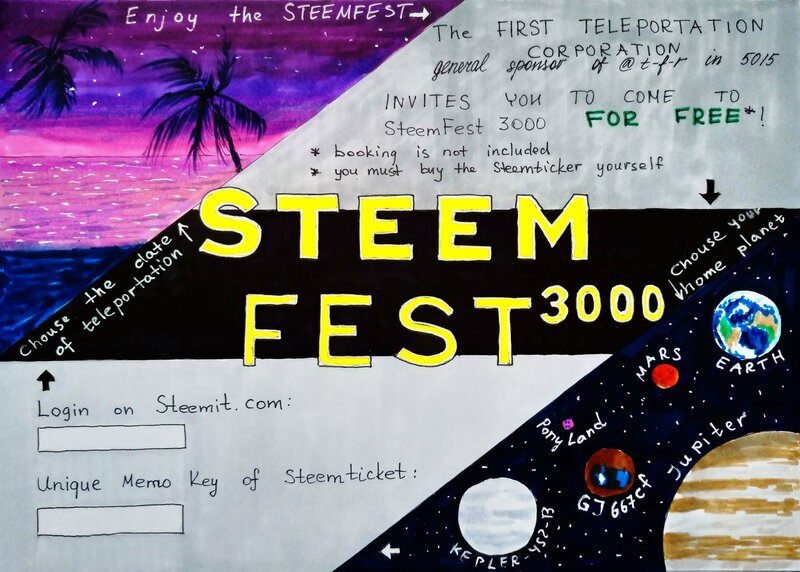 You have to imagine how it would be Steem Fest in 3,000 years... how would this event be in 3,000 years! What would this futuristic gathering look like? Is it a Utopia? A Dystopia? For SF3, people are traveling to Poland from distant and far away countries. But what might SF3k be like? Would it even be on this planet? The same dimension? I started imagining the attendants of Steemit 3000 - crazy aliens, as well as some humans. Teleporting visions as well as flesh'n'bone. So I drew up those guys as well and finally, I did the sketches for the walls. Gooood. Now how do I do it? I was going to do something like a poster at first, but the more I thought the more certain I became that I needed something more 3D. So, I set out to buy some cardboard. And then, I measured and cut it up in the shape and size of a real room. 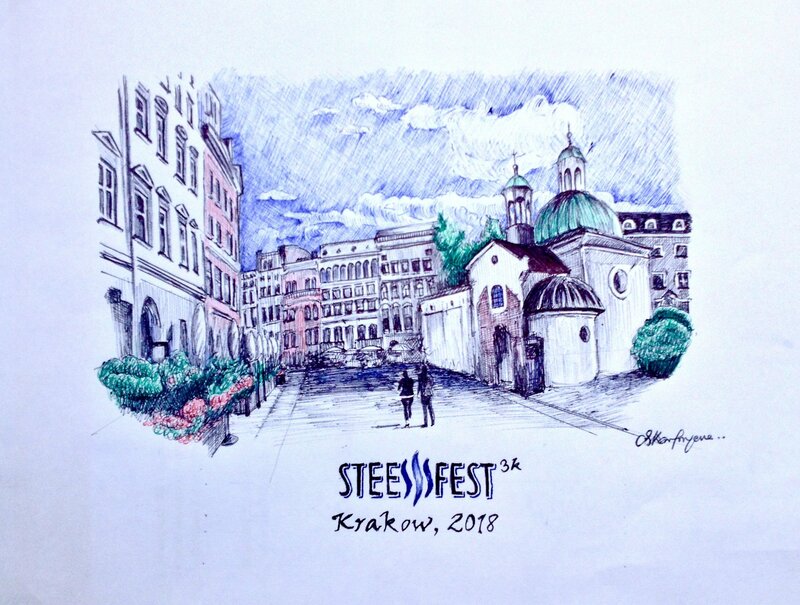 I have not been to Poland before or any Steemfest, so creating art that was depictive of the occasion was a little challenging. That notwithstanding, I need to express myself and art in a style that I am used to. A quick search on the Internet on Kraków returned lovely photos of the city, such that I couldn't ignore. Hence, I decided to create this art of a Kraków city in the Utopia. I decided that I do not know anything about what will happen in 3 thousand years, but it does not mean that I can’t dreaming. The most difficult for me is the road to Steemfest and transportation costs. 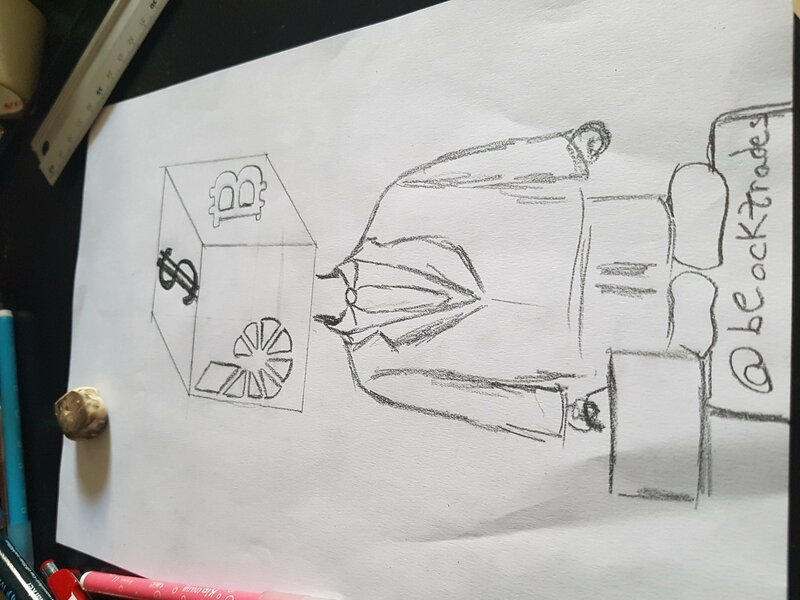 Therefore, the topic to which my sketch is tied, was determined at once)) I imagined that in 3000 years already will come up with teleportation, so you can reduce the time of travel between cities and even planets! And let there will be several planets. 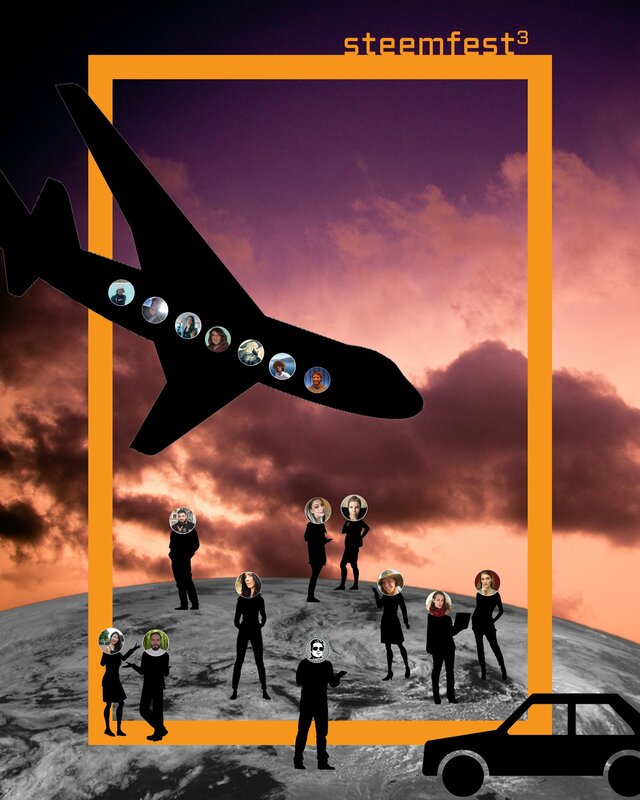 It runs in the year 3000 and the self-esteem Fest is no longer the same, the celebrations were left behind, to become a virtual reality game where the Steemianos, compete to obtain as much of Steem power as possible, the upvote have become transfers of Power of Steemians to Steemians in this virtual blockchain where the winners of the game obtain new levels of reputation and power within this matrix Steemian. 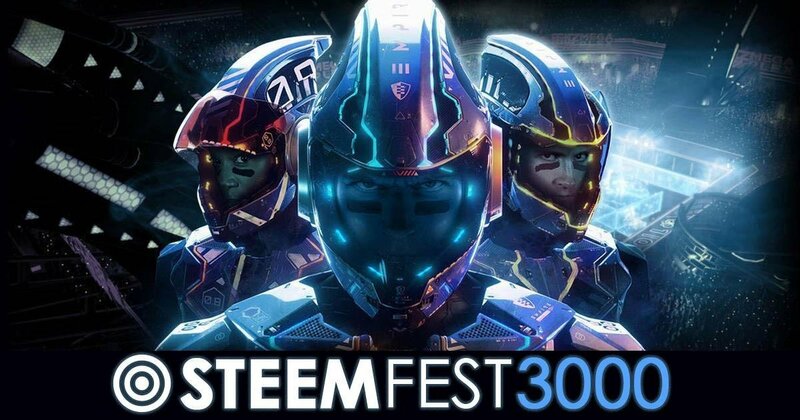 STEEM FEST 3000! A virtual reality game. Once I read about this challenge, I was collapsed about how to start getting into it… so I decided to go to my basics… and start doing an architectonic proposal. Growing up playing videos games and watching sci-fi I've always been a fan of the matte painting style concept art and of low-poly 3D graphics. I decided to use this competition as an excuse to dive in and start learning cinema 4d. I've had almost zero experience with 3d so to say it was a learning experience is an understatement. After spending hours in photoshop on Saturday using a pack of brushed I found online I was pretty disheartened at my ability to do digital painting. Yesterday I downloaded the trial for Cinema 4d, cracked open youtube and went to work with a combination of tutorials and trial and error. I opted to create low-poly sci-fi inspired scene. As far as I know, the most important problem for everyone who wants to visit STEEMFEST is the money and time expenses for visiting this event. Some people have not money, another can not leave the house because of personal affairs, work and other circumstances. But they all still would like to visit STEEMFEST. As you can already see, the technologies do not stand still, and now most of our life is more and more immersed in virtual reality. 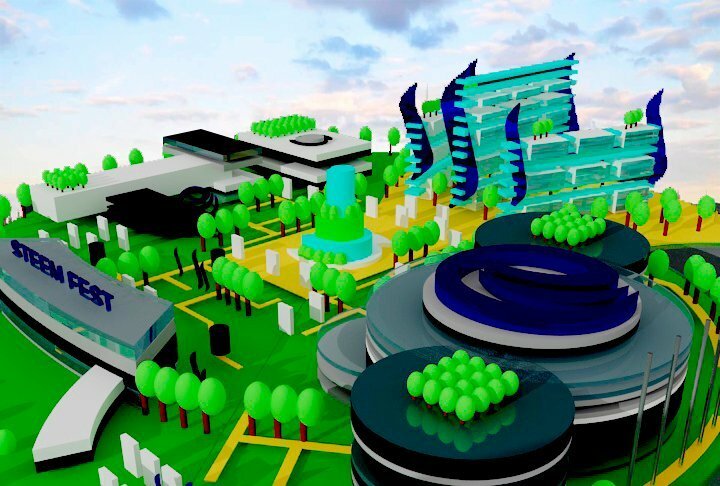 I think that in the 3000 virtual reality will become an integral part of a person's daily life. It is the Year 3. For 7 billion other people living on planet Earth it is the Year 2018, but those 7 billion don't really matter, we are Steemians, and the 1 million of us only count years starting with the one in which our Blockchain was born. So it's the Year 3 After Steem (A.S.), and we're all feeling pretty good, since Steem does already mean so much to us. While the rest of the world is still sleeping and feeling obligated to like their friends baby pictures on Facebook, we are slowly but surely seeing a dream come true, a decentralized social media platform that rewards us for our input - who opens the Instagram app anymore in Year 3?